In 2005 a summary of "General Duty Clause" citations issued for ergonomic hazards was published (Purswell & Purswell, 2005). That summary showed that the primary area of ergonomics citation activity under the "General Duty Clause" (paragraph (5)(a)(1) of the OSHAct of 1970) by OSHA to that point had been concentrated in nursing homes, peaking in 2002 and 2003. The OSHA citation activity since that time has shifted and only one ergonomics-related citation has been issued to nursing homes in the last six years. OSHA citation of ergonomics hazards under the "General Duty Clause" has been most active in Puerto Rico (a "state plan" jurisidiction). The table below summarizes the citations issued. It includes one duplicate (305829970 and 305829988 ). The list below also contains a citation related to the operation of cranes (310754726) which appears to have been misclassified as an ergonomic hazard. Finally, the list contains a citation which was subsequently deleted (311186357). The patterns in the remaining citations are discussed. Musculoskeletal disorders (MSDs) continue to be a significant source of lost time injuries and a major driver of Workers' Compensation costs. In 2007, MSDs accounted for 29 percent of all workplace injuries requiring time away from work, down from 30 percent in 2006. In terms of actual number of musculoskeletal injury cases, there was a decline of 21,770 cases or 6 percent (Bureau of Labor Statistics, 2008). It therefore appears that the US is making progress in reducing the total number as well as the rates of ergonomic injuries, but musculoskeletal injuries still comprise a large proportion of losttime injuries. "Each employer shall furnish to each of his employees employment and a place of employment which are free from recognized hazards that are causing or are likely to cause death or serious physical harm to his employees;"
Most OSHA citations of employers are based on the violation of a specific OSHA regulation as contained in 29 CFR 1910 and 1926. However, the issue of a regulation to address ergonomics hazards has been the subject of much controversy and the standard which was promulgated by OSHA in 2000 was subsequently stayed from enforcement by Congress. In addition to nullifying the Ergonomics Program Standard, the Act prohibits Federal agencies from subsequently promulgating any new regulations which are substantially similar to the previous rule (Congressional Review Act, Public Law PL 104-121, 1996). In reality, the name "ergonomics standard" was a misnomer. The standard which OSHA produced was primarily directed to the prevention of cumulative trauma with much controversy concerning the relationship between certain repetitive work tasks and the resulting injury to the worker. Other ergonomics hazards were not addressed by the standard. Thus, OSHA can only address such injuries with the "General Duty Clause", rather than with the specific standard which was stayed in enforcement by Congress. In 1997, the Occupational Safety and Health Review Commission (OSHRC) specifically ruled that OSHA could cite employers under the General Duty clause for ergonomic hazards (OSHRC, 2011) and has upheld several contested citations of ergonomics hazards. In reviewing the citations issued by OSHA for ergonomics hazards, the OSHRC has applied the same criteria it applies to reviewing other citations issued for violations of the General Duty Clause. Feasible means exist to eliminate or materially reduce the hazard. Since the last summary of OSHA's citation of ergonomics hazards under the General Duty clause the pattern of citations has shifted. As Table 1 below shows, citation activity has been most intense in Puerto Rico and the type of work being performed is most commonly computer related work. Dr. J. P. Purswell, PhD, PE, CPE has extensive experience in Human Factors, Ergonomics and Safety Engineering. He holds a doctorate in Industrial & Systems Engineering from Virginia Tech. 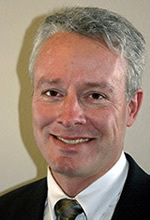 A member of the Human Factors and Ergonomics Society and the American Industrial Hygiene Association, Dr. Purswell served as the past Chair of the Industrial Engineers PE exam from 2005 to 2009. He continues to serve on the committee which is responsible for the preparation of the national professional engineering examination in industrial engineering.